By Ricky Maingard, Owner of Capstone Horse Feeds . . .
“Capstone Horse Feeds is a creation born out of my passion and love of horses. I have always been very interested in the nutrition of the equine athlete. I started riding horses from an early age and participated in horse racing as an amateur rider, taking part in show jumping, flat racing and steeple chasing. I trained thoroughbred race horses for some 30 years in South Africa with a certain degree of success (saddling 1,400 winners including many graded stakes races, of which 32 were group 1 winners). I now train race horses in Mauritius. Through the years I have always strived to obtain the best and most effective feed for my horses. In the 70’s it was quite obvious to me that feeding competition horses was more of an art handed over from father to son than any scientific formula. Very little research had been done regarding equine nutrition compared to other sporting disciplines such as cycling and athletics. Being an engineer by profession, my quest for scientific knowledge of how to best feed a racehorse grew over the years. Later on this interest grew even more and I became interested in how best to feed horses in the various disciplines and stages of their life. There was no doubt in my mind that there had to be a better way. I was fortunate to visit many countries (UK, France, Ireland, USA, Argentina, Australia, New Zealand and Hong Kong) and I met many great horsemen, trainers and vets. I always made a point of learning as much as I could from the best of them as to how they fed their horses. I gained invaluable knowledge for which I am extremely grateful! In the early 80’s the feeding of race horses began evolving, especially overseas. Significant changes were being made to the traditional ‘oats, digestive bran with some molasses and lucerne’ methods of feeding. I successfully mimicked these new methods as I became exposed to them and my horses always looked well, taking their workouts and races better with shorter recovery time as well. As the 90’s approached, I had the opportunity to visit a number of horse feed manufacturers, where great inroads were being made in developing feeds. A range of new ingredients such as barley, sorghum, soya, sunflower, beet pulp and oils were being added to horse feeds, with vitamins and minerals and these feeds were being successfully commercialised. This new trend had not yet reached South Africa and the feeds that were available in SA were nowhere near as good or complete. Raising young horses in these countries was also becoming more scientific. Inherent problems, and the causes thereof, were being identified through a better understanding of the effect of feed intake. The feeding of the broodmare to the weanling, foal, yearling, to the 2 year old, right through to old horses, was now becoming a science. Again this trend had not yet reached South Africa and there was no local horse feed of such high international standards and recognition. This gap in the local market prompted the conception of Capstone Horse Feeds as ‘a top of the spectrum range of horse feeds’. I spent the best part of the next 3 years travelling to investigate further these new feeds on the international market and any new findings in regard to equine nutrition. I visited feed manufacturing plants mainly in Australia, USA and Europe and was very fortunate to meet wonderful people who were extremely helpful. I learnt a tremendous amount and I soon realised how little I knew about feeding horses, and how little we in South Africa knew… we had fallen way behind. A huge advantage about South Africa is that almost any produce can be grown here to the highest quality standards due to the vast expanses of good arable land and climatic conditions. With great quality products therefore available, the difficulty came in the fact that most of the desirable raw cereal grains needed conditioning and processing in order to increase their digestibility. Modern mixing equipment using smaller mixing batches and minimum mixing time had to replace the existing horizontal or vertical 2 ton mixers that were being used at that time. We also needed the scientific and technical know-how in formulating these new feeds incorporating the latest research and technology, without which new feed from South Africa would not be credible. The most prominent horse nutrition experts in the world are Kentucky Equine Research (“KER”). We were very fortunate when KER agreed and committed to help us realise our dream. It is significant to note that KER was the official feed supplier and advisor at the previous three Olympic Games. 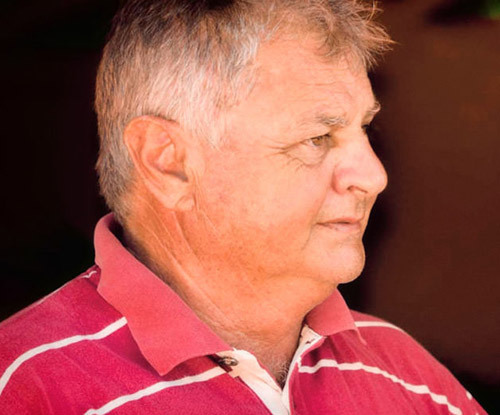 We owe an enormous amount of gratitude to Dr Joe Pagan and Dr Peter Huntington in particular, without whose collaboration Capstone Horse Feeds would not be the success it is today. All Capstone Horse Feeds are formulated by KER and are fixed feed formulations. We do not use the least cost formulation concept. Only KER are entitled to change the formulations to include new research and findings or due to the unavailability of a certain ingredient. Our original brief to KER was to make the best feed possible for the various segments of the equine market, using locally available ingredients irrespective of their costs. With KER’s expertise behind the formulations, we are certain that Capstone Horse Feeds meet the latest and best criteria worldwide in this regard. All Capstone Horse Feeds products include KER’s first grade specific vitamin and mineral premix as well. Capstone thus became a proud KER international team member. Our research showed that without doubt, the best method of cereal grain processing available worldwide, not only from an appearance point of view, but also more importantly, to improve their digestibility in the horse’s small intestine, was the ‘micronizing” process. Micronizing is a patented infra-red cooking process. Micronization is the most expensive method of cereal grain processing and this type of processing plant had to be acquired if we wanted the very best. We did have access to steam flaking and extrusion processing plants in SA which also do the job to a degree but we opted for the best. It was also important for us to have a strategic partner preferably with existing manufacturing and distribution facilities. A significant investment was required in order for us to manufacture consistent feeds of the highest quality. We approached Afresh Vention with our new business plan and they became our strategic partner. The decision was made to invest in a steam chaff cutting plant from Australia and in a new feed mixing and bagging plant with the latest mixing equipment (which is now automated). We also invested in a new micronizing plant from the UK with a new pre-conditioning plant and the required flakers and cooling units. Capstone 335 (Pty) Ltd became a shareholder in the manufacturing plant called “Straight A’s”. “Straight A’s” was a substantial investment with a high risk factor. There was no guarantee that this new, modern, appealing, muesli-type feed called Capstone (which would inevitably sell for 35% to 40% more per kilo than existing local feeds) would succeed in the South African market. We also knew that the overseas market would be difficult for us to tap into, considering the already very competitive market which was represented with existing and well known brands. I was passionate about the concept that we had developed and was determined to see it succeed. It took a large amount of courage and trust to back us and we are grateful to all those who believed in making our vision a reality. Whilst the “Straight A’s” manufacturing plant was being constructed in the Western Cape, we started manufacturing Capstone Horse Feeds in a small paddle mixer in KZN, using imported micronized grains from Western Australia. The first batch of Capstone Race Time was manufactured in July 2006. It has been a long journey, but we are very proud of what we have achieved and of our outstanding range of products. Together with our partners, we hope to continue to contribute and help grow our share in the horse feed industry in South Africa and extend our brand in the overseas market”. Our motto has been “Acquiring a reputation for excellence is no easy task… maintaining the stamp of approval by our Clients is even harder and we will strive to achieve both by supplying their horses with the best nutrition”.